Advertising Agencies Bring Their “A” Game Too! It had been a very long week for me and quite frankly, going to a super bowl party was not on my radar. The games normally turn out to be a big gamble, I had invites to 2 spectacular events and took a pass as I was super busy completing a super list of super things that had to be done for work and my house “honey do” lists, super fast. That said, somehow I ended up at home alone (doesn’t happen often these days) with plans to fiddle on a few home repairs before making an early exit to dreamland. While putzing around the kitchen, I decided to tune in for a commercial or two, they always give me a laugh. Like many, in some ways I’ve grown weary of professional sports as I have a difficult time relating with the large amounts of money being earned playing sports most of my buddies would have played for practically free. If I reflect a bit more, its really not about the money as I do understand supply side economics. With the money being paid, I think we as fans should place higher demands from owners for their employee behaviour. Too much celebrating for regular plays that are part of the job seem out of place. I do understand that it has evolved into entertainment as much as a game. But Southwest Airlines has become entertaining too and we don’t see pilots over celebrating down the aisles after each nice landing. Nice landings are part of being a professional. And factually, the owners may be doing just that as has been playing out on several fronts for the NFL this past year. Once I flipped on the game, I was immediately pulled in as I do love watching individuals play for the love of a game. Nothing in my book comes close to the men’s college hoops final four tourney, but there are pure sports moments that are still a joy to watch. These exciting moments are hard to find within the day-to-day games of baseball, hockey or football but rather when players transcend the normalcy and move to greater heights following their lifelong journey of excellence in pursuit of the ultimate goal – a championship. Within moments when players are playing their hearts out for a common goal of win or die in the attempt, there is always something captivating as the human drama and symbolism is played out for all to observe. Pure action and enthusiasm is hard to beat and yesterdays game had it all. It reminded me of watching a great Ali / Frazier fight, every time a punch was thrown, another came back of equal strength. Most definitely two heavyweights were at war. Last night I witnessed for the most part, tremendous sportsmanship, class and ethos. A great night for the NFL and pro sports in general and a high level standard for showing how good we can be when purpose, intention and attitude come together in that fashion. In the business world where I spend my hours, its easy to see mirror reflections of what goes on within pro sports. We find all of humanities failings and virtues on full display. We are in the advertising and marketing arena, and have lots of issues to contend with. Striving for excellence will be a lifelong pursuit. 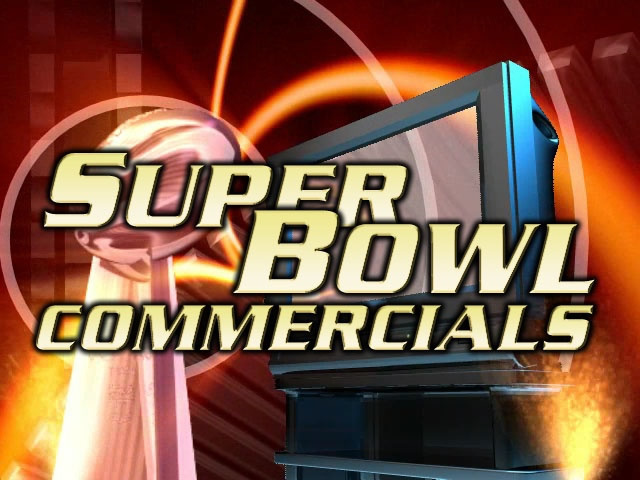 Super Bowl commercials were once again a great display of watching advertising agencies putting on their “A” game. I have not yet watched the youtube video flows summarizing winners and losers but I will discuss my two favorites of the evening. Outside of watching Katie Perry with my young daughter do an incredible job with the halftime show, my favorite intermission moment was the simulated draft day of kangaroos, sloths and avocados. I found that to be extremely creative, fun and yet extremely clear with its message. My next favorite moment was having Pete Rose on the screen spoofing his Hall of Fame situation. As a small town kid growing up within reach of WGN airwaves, my brother and I used to watch Pete single handedly destroy our beloved Cubbies every single year. Pete had his frailties and has done the time for his crimes, but there is no arguing that he was one of the most competitive, professional and gifted athletes the world has ever seen. That ad was clever, funny and poignant all in one. Good thing Bud Selig isn’t able to suppress everything. Hooray for Pete, the man who has more hits in baseball than any other person to have played the game. And hooray for the advertisers and companies willing to push the envelope of creative professional genius. It was in the end another great Super Bowl accompanied by numerous Super Ads. It’s just pure brilliance and it demonstrates why fans love their sports.